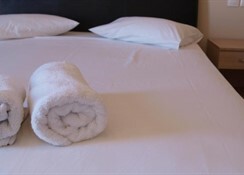 Carina Hotel is a small two-star hotel that features Single Rooms, Double Rooms, Triple Rooms and Quadruple Rooms. Most of the accommodations have twin beds—common facilities are work desk, air conditioning, safe deposit, private bathroom with amenities, telephone, and fridge. Rooms also have balcony that overlooks the beautiful surroundings—note that some room facilities are available only on request and are locally payable. The main restaurant serve breakfast (7:30am to 10:30am) in buffet, and on the spread you’ll find continental items with plenty of choices freshly prepared and served. As for lunch and dinner, the restaurant offers multi-cuisine a la carte menu that serves Chinese and Mediterranean cuisines. 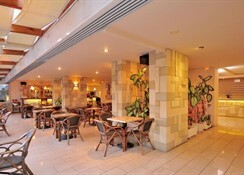 And for drinks, there is a snack bar that provides plenty of choices, such as cocktails, mocktails, beer, wine, and other selected local drinks. 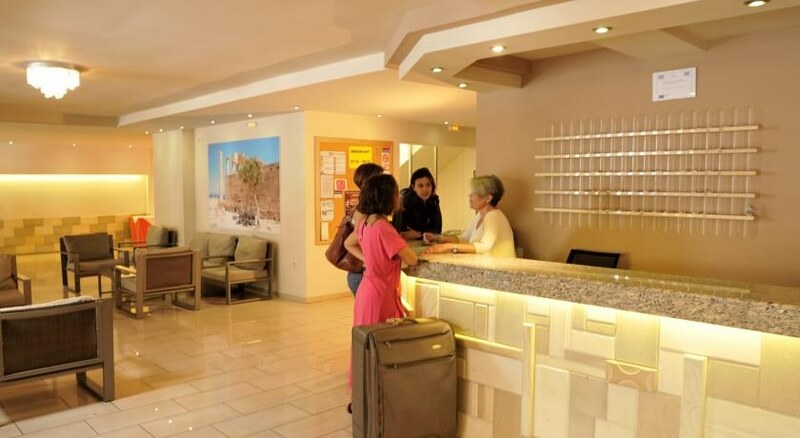 The hotel does not feature any appointed recreational facilities and activities, except for a travel desk. But the fact that the hotel is only 200 metres away from the beach, you’ll find plenty of water sports activities, such as diving, snorkelling, windsurfing, fishing, boating and swimming. 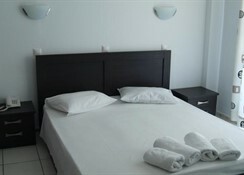 Located in the city centre of Rhodes Town, Carina Hotel is destination that offers 62 modern guestrooms. Elli Beach is hardly 200 metres from the hotel, while the harbour is 900 metres away. There are restaurants, cafes, shops and nightclubs in multitude in the surrounding, a paradise if you’re into sampling food and a shopper. Apart from visiting the beach, you can drop by the casinos, Santa Maria della Vittoria Church, Palace of the Grand Master of the Knights, Acropolis of Rhodes, Rhodes Aquarium, and Archaeological Museum of Rhodes all located very close to the hotel. 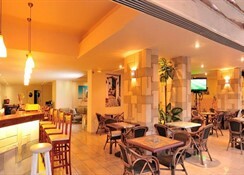 There is a bus-stop close to the hotel and the Rhodes International Airport is about 14.5 km from the hotel.